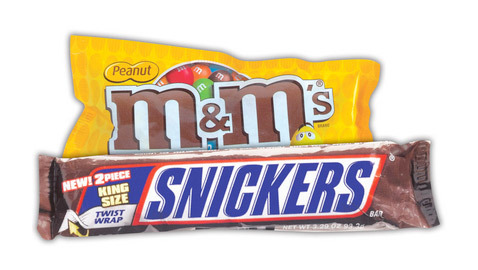 Healthy snacks battled Snickers bars, Raisinets and Peanut M&Ms for space in county vending machines last week, with a commission committee deciding that 20% of slots should be required to vend healthy snacks. Noting that she had lost weight over the past two years but couldn’t find healthy snacks in the county machines, Commissioner Audrey Edmonson by a 4-1 vote got the Health & Social Services Committee to agree to require the vendor for the county’s web of machines to add something healthful. Under the resolution, the healthier products would have to be competitively priced with the junk food that sits beside them, removing temptation to save at the cost of calories and fat. Ms. Edmonson’s legislation notes that the county’s parks department has already established a Healthy Options Vending Policy, which her legislation would be taking countywide. It also notes that the county is now soliciting a vendor service for all of its vending machines. In the committee, however, the drive for healthier eating had to battle with concerns for a free market, where the county’s sole vendor would have sole discretion to decide what would sell most profitably. “I think the market should decide what goes in those machines and not the county government,” said Lynda Bell, who cast the sole vote against the move to require some healthy snacks. “I think whether it’s in a college campus or a building down here this should be market driven and not “us’ driven. Ms. Edmonson, who has slimmed down, said her own needs triggered the legislation. “I came up with this from a county machine, and I think we all know that I lost a considerable amount of weight two years ago” — (“and you look good,” Ms. Bell interjected) — “and I had no options for healthy food. It was all junk food, and I think people should have that option…. Ms. Edmonson said she just wanted options. Studies support the move to healthier food. “The obesity rate and the number of overweight adults in Miami-Dade County is 67.4%” and nearly 13% of high school students here are considered obese, according to the Miami-Dade County Health Department. That overweight has been linked to coronary heart disease, type 2 diabetes, some cancers, hypertension, dyslipidemia, stroke, liver and gallbladder disease, sleep apnea, respiratory issues and gynecological problems.To read the entire issue of Miami Today online, subscribe to e-MIAMI TODAY, an exact digital replica of the printed edition.